For the past ten years or so the power in cricket has shifted to India and that will now be formalised. They have dominated the ICC for some time and always get their own way. India’s cricket has been corrupt and a fierce battle ground all too often in the past. But the wise approach in trying to understand any modern sport is to follow the money and that’s in India for cricket. The success of the IPL is based on the novel notion that City teams, playing in big stadia at a time and for a duration that spectators and (crucially) TV watchers can schedule into their lives will work financially. (This is what we should set up in England for T20 as well – but that’s another story!). For International matches this is extended to One Day Internationals which have the huge commercial benefit of lasting longer – more airtime and more advertising spots to sell. Test matches are problematic for the Indian money men. If something special is going on (Sachin’s retirement for example) then the punters will go to the grounds and the TV audiences will be there. But mostly Test matches are a distant third in the priority of the Indian cricket moguls. The Indians will be here for five Test matches this summer. The receipts will be good but I doubt that they will be so good that India will say that a tour to England with Test matches is a priority for the future. They are trying to scale down their Test cricket (see the recent cancellation of the Newlands New Year’s Day Test for example). I would expect the next India tour here to be a maximum of three Test matches. With the financial clout they have the BCCI will effectively control world cricket. The idea of a “Test Championship” has gone already and India will certainly only be prepared to play a Test series if the revenues make it worthwhile. That’s versus England and possibly Australia (but reduced in number) and not much else. “The Ashes” will remain for the time being as its financial basis is strong and it is a bilateral arrangement in which India has no interest. Other countries tours to England and Australia are far more problematic and the return tours by these two countries more so. Limited Overs cricket will increasingly be the King and Test cricket will become a rarity – the odd heritage matches and series (The Ashes) aside. For the MCC to base their ambitious Ground redevelopment plans on Test cricket is highly questionable. There is no guarantee at all that there will be a Test match at Lord’s every year in future. 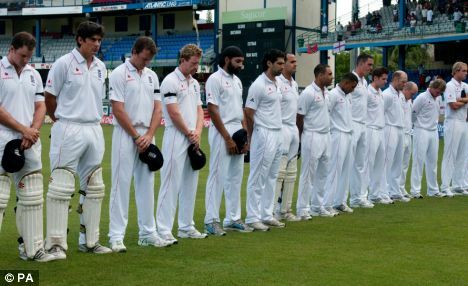 The decline of Test cricket is inevitable. Top players will play more and more limited overs matches at domestic (IPL, Big Bash etc.) and international level and their skills will be honed only in this context. Domestic First Class cricket will gradually fade away. The spectators will never return to it. The players won’t want to play it or the broadcasters to cover it. In England domestic cricket will be smaller, fewer teams (maybe eight franchises), players and matches. Expect the big games in say five years to be between the Birmingham Bruisers and the Headingley Tykes – Warwickshire and Yorkshire will be distant memories of how it once was. In England we sewed the seed of Twenty Twenty cricket to try and keep the County game afloat. It will be its death – and it will take Test cricket with it. John Shepherd - correcting Wisden ! The recently published “Wisden Cricketers of the Year – A celebration of cricket’s greatest players” is a nice coffee table book full of good photographs and brief biographies of all of these Wisden Cricketers since the first in 1889. I would like briefly to comment on author Simon Wilde’s description of John Shepherd who was one of the five in 1979. He says that Shep “... would have played many more Tests had he not joined a multinational tour of South Africa in 1973, leading to his excommunication from West Indian cricket”. In fact had Mr Wilde looked at my biography of Shep he would have seen that in 1971, some two years before he went to South Africa with the Derrick Robins XI, John had been told that the powers-that-be in West Indies cricket had decided that he would not play for the Windies again. To this day John does not know why this was but it had nothing to do with his later involvement in Southern Africa. It is also quite untrue to say that Shep was “excommunicated” by West Indies cricket. 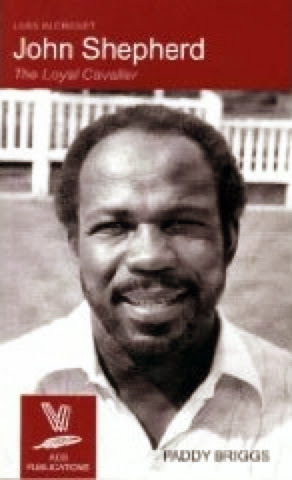 What John did was not in any way prohibited by the West Indian authorities at the time – it was not until May 1976 that West Indians were warned not to play in South Africa or they would be banned from playing in the Caribbean. John had no involvement in Southern Africa after the 1976/6 season. Whilst I was researching the John Shepherd biography in Barbados all of the former players, officials and commentators I met had nothing but praise for Shep – and his career is marked in a nice display in the “Cricket Legends of Barbados” museum in Bridgetown. Simon Wilde hints that Shep was a rebel and that he ruffled some feathers. He wasn't and he didn't! The "command and control" system in England cricket has a lot to answer for. You see this in the Dalek-like answers that the players give to the media – especially Cook, who has to be better than this. We the spectators pay through the nose to watch international cricket in England with the highest ticket prices in the world , by far, and not one minute of live free-to-air television. This generates a huge income for the ECB, all too much of which is wasted. In keeping afloat our preposterous, overblown 18 County system. In paying for far more support staff on tour than there are players. In paying the ECB CEO a banker’s salary. In facile PR and vulgar tub-thumping faux-patriotism at the 2013 home Ashes. Money is thrown at the players as well which is partly done to inhibit them and command their obedience. Only a root and branch clear out will get us back on track. Stop the ECB being run by the vested interests of 18 County chairman. Force the guilty men at the top out. Spend the money more wisely. And free up the players as Lehmann has done in Australia. Former Chairman of the England and Wales Cricket Board Lord MacLaurin has recently called for the number of Counties in English domestic cricket to be reduced from 18 to 12 and for other changes. Ian MacLaurin is right, but he doesn't go anywhere nearly far enough. There is no alternative to starting with what we want the outcome to be and then working back to create the appropriate structure. Fiddling with what we have just won’t do. So let’s start with the outcome. An England team that is competitive in all major International competitions most of the time. To have this there must be a cadre of top professionals who play high class cricket and compete for places in the England squad. For this to happen the competitions in which they play must be world class. So how are we doing? Let’s take spin bowling. Graeme Swann chucks in the towel and who is waiting eagerly and realistically to replace him? Fragile old Monty? Aging Old Boy Treaders? Untested Tyro Borthwick. Some bloke you’ve never heard of in the Warwickshire Seconds who Ashley Giles says is a fine prospect…. Or take the batsmen. Can we really say that we have replaced Strauss, or Collingwood or potentially Trott? Have we a wicket-keeper batsman waiting to take over from Prior? Then there are the fast bowlers. If Jimmy is off song then the load falls on Broad and can we truly say that Bresnan or Tremlett or Rankin is up there with the class of these two consistently? Or anyone else? The finding of new recruits of quality for an International team undergoing change is what our domestic system should be delivering. But it isn’t. Why? It is because our finances are spread too thinly. An 18 County system is only sustainable if you sell your soul to Sky and charge the highest prices in the world for international tickets. That is what has happened just so that eighteen historic counties can be subsidised – to do what? Offer contracts to overseas players who won’t qualify for England? Offer sunset homes for past-it old cricketers who are wending their ways to a benefit and retirement. Prop up mediocre teams, with mediocre players in mediocre competitions for no good purpose. Every Domestic match should be competitive and of such quality that spectators will want to pay to see it. The County Championship is a farce. Poor quality, unwatched and unloved except for a few aging fans who remember how it was in the good old days (Actually it hasn’t been much cop for decades. Since the 1960s when it all started to fall away). The limited overs competitions are marginally better but there are far too many games (a consequence again of the 18 county system) and far too few that really matter. The solution? Leave the County system as it is but make it predominately amateur with each team having maybe one or two professionals like the Leagues. Play the games at the weekends when players are available. Play on the lovely grounds that grace our countryside not in the echoing space of an empty Lord’s or Old Trafford. Use it as a place for youngsters to learn their cricket and for older players still to entertain us. Make its moderate costs largely self-supporting. Create an eight team franchise system of new Teams based at International grounds. The Squad of each of the franchises to comprise current England players and England qualified players of real potential. Plus one or two overseas players and one or two recently retired International players as well. Market the competitions (Four Day, One Day, T20) so that each match matters because of the quality of the cricket and the fact that England players will play – let them out of their central contract ghetto to do so. They will want to of course because every match will be a trial for the top, as well as being engaging sport in its own right. Do this and we might begin to get somewhere! 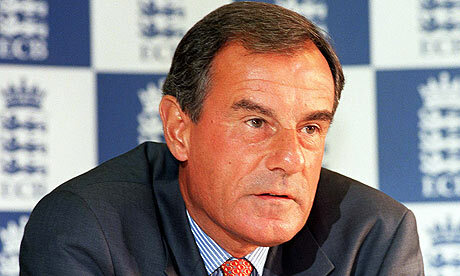 England Cricket - What would Sir Alex have done ? The idea that an England team without Kevin Pietersen would be severely weakened is true to an extent. That is a statement of the obvious – certainly when we look at KP at his best. But managers/selectors have to look at the team as a whole. For example if we look at Manchester United under Alex Ferguson he was prepared to indulge big names to a degree - but if he did not feel that his team building plans required them he would offload them. Everyone said the team would suffer but United prospered even when the likes of Paul Ince, Jaap Stam, David Beckham, and Ruud van Nistelrooy had left. As Sir Alex says in his autobiography they were offloaded quickly as soon as they became disruptive, or 'brands' (Beckham). Ferguson once said to Tony Blair "The most important thing in my job is control. The minute they threaten your control, you have to get rid of them". It is sometimes said that cricket is not as much of a team game as football and in a way that is true. At each “play” the bowler, batsman and fielder is on his own. So even a prima donna can perform even though he may be disdainful of his teammates. But this ignores the fact that a squad, especially on tour, spends a huge amount of time together. Fifteen or sixteen men will of course all be different but they will not perform well unless they have a common purpose. In the 2013/14 Ashes the Australian team clearly had a common purpose – to stuff the Poms. Individually some of them are moderately talented players with there being perhaps only two or three of world class. But together they did the job. The England squad was more talented and more experienced but they clearly failed to operate effectively as a team. Two left the tour for reasons unconnected with fitness or injury. Others were marginalised. The common spirit was lacking. "Little things like wearing the right kit, turning up to meetings on time, not five minutes late. They appear to be trivial issues to those on the outside but they are important when building a team environment. We talk about the little things that can make a big difference when added up. It is always those that go first and we were not quick enough to realise that." I think that Matt is talking a bit in code here but the tone of his message is clear. England lost the Ashes because they did not work effectively as a team. I think we know what Sir Alex Ferguson would have done in these circumstances ! In an article in the Daily Telegraph Nick Hoult argues that it will be the new MD of England cricket Paul Downton who will sort out the Andy Flower / Kevin Pietersen spat. I doubt that. When matters last came to a head it was not Downton's predecessor Hugh Morris who sorted things out - it was ECB Chairman Giles Clarke. Clarke believed that Pietersen was essential to the team in the build up to back-to-back Ashes series. So his (KP's) indiscretions during the South Africa tour of 2012 were forgiven by Clarke who fought tooth and nail to get him back in the team. Flower opposed this as did Andrew Strauss and it came down to a straight choice between Strauss and Pietersen. Strauss went and Flower had to consider his position. He, with some reluctance, chose to stay. So Pietersen won that skirmish but the cost to England cricket was considerable. Flower was not the same man afterwards. Cook was given the Captaincy too early. Hugh Morris's position was undermined as all the decisions were taken above his head. Paul Downton may nominally have to wrestle with the problem but the strings will be pulled by Giles Clarke. Pietersen has certainly had "support from the ECB hierarchy" in the past. Will he have it again even if this time it really does lead to the departure of Andy Flower? It was clear that Flower was unhappy with the "rehabilitation" of Pietersen in October 2012 - an initiative which was the personal action of ECB Chairman Giles Clarke. Clarke sacrificed Andrew Strauss to return KP to the team prior to the tour of India. This threw an unprepared Alastair Cook into the Captaincy. In India, and through the 2013 season, Cook was learning his trade – successfully it seemed at first. But in the 2013 home Ashes series his batting form started to slip (Just 277 runs at 27.7) but he had some luck to help him and steered England to a rather fortunate Series win. We all know what was then to happen in Australia - an unmitigated disaster for Cook and England. Andy Flower should probably not have accepted KP back into the fold in late 2012. If he had dug his heels in then Strauss would not have retired precipitately and though England would have missed KP the batsmen they would arguably have prospered in the absence of KP the individualist. Giles Clarke will already be back in the fray trying to keep both KP and Flower on board. He succeeded last time, but at the cost of turning Flower into a much less effective coach than he had been before. I suspect that Flower is just too well paid to walk away which must be deep down what he feels like doing. I expect another stich up with the usual ECB weasel words and that Pietersen and Flower will both be there at Lord’s in June. Whether they will be speaking to one another is another matter. How bad was that ? So how bad was that Ashes defeat when placed in the context of Ashes series going back to 1876/77? Well the fact is that there have only been three 5-0 whitewashes by Australia and this was easily the worst. In 2006/7 England under Andrew Flintoff lost 5-0. But in that series England was “only” bowled out in nine of the ten innings and scored 2530 runs compared with a paltry 2158 this time. You have to go back to 1920/21 to find the other 5-0 whitewash. In that series England under Douglas was, as in 2013/14, also bowled out ten times but 2779 runs were scored – far more than in the debacle of 2013/14. The 1920/21 series was called a “disaster” by Wisden. When it comes to individual performances England's batsmen only scored one century in this recent series (Ben Stokes at Perth). IN 2006/7 there were three and in 1920/21 four. The bowlers fared better than the batsmen and actually bowled Australia out eight times in 2013/14 compared with four in 2006/7 and seven in 1920/21. In 2013/14 The “best” batsman was Stokes with 279 runs at 34.87. He was the only batsman to average over 30 and none of the team scored 300 runs in the series. In 2006/7 Pietersen averaged over 50 and he, Collingwood and Bell scored over 300 runs and averaged over 30. In 1920/21 Hobbs averaged over 50 and four others over 30 and three batsmen scored over 300 runs (Hobbs 505). In 2013/14 The “best” bowler was Broad with 21 wickets with Stokes and Anderson taking 15 and 14 respectively. In 2006/7 Hoggard was the best bowler with 13 wickets with three others (Panesar, Flintoff and Harmison) getting into double figures. In 1920/21 only two bowlers, Parkin (16) and Fender (12) took ten or more wickets. In conclusion in terms of team results and run aggregates this is England’s worst ever Ashes performance as it is in respect of individual batting. The bowling was better and Broad in particular did not disgrace himself. But overall it doesn't come any worse for England. If the match at The Oval in 1882 which created the legend of The Ashes was a cataclysm for England cricket this five match obliteration in 2013/14 was no less so. Statistics don't ever tell the whole story. But this time they do show how bad it was.